"From what I can tell of your database, it will be quite valuable to researchers." James M. Sanford was born May 2, 1836 near St Joseph, Michigan. This is a short memoir he dictated to his children on his death bed before his death on December 7, 1910 at Fairfield, Nebraska. He was 74 years, 7 months and 5 days when he died. He served with the 11th Wisconsin. He served in Company B and earned the rank of Corpl. Here is an excerpt; "My regiment was placed well in the front of the first of the three lines of battle, which gave me a splendid view of the field. As I turned and looked to the rear, I could see 100 battle flags sweeping on for a grand charge. As I looked to the front, I could see General Pemberton's whole army, who had left their ditch and were on their way back to Vicksburg. Not ten rods from me was General Pemberton in all his splendor, calling to his retreating troops, saying: "Go back to your works! There's only one line. We can whip them." This book was written by Lieutenant Samuel C. Jones of Company A, and is based on his diary. The Twenty-Second Infantry was for the most part recruited in the old capital county of the State, Johnson, which contributed to this noted command no less than seven companies. There was one company from Jasper County, one from Monroe, and one from Wapello, so that the whole was from the Fourth District, since represented in Congress by the Honorable Josiah B. Grinnell. The companies went into rendezvous at "Camp Pope," near Iowa City, during the month of August, 1862, and were there mustered into the service on the 9th of the following month. William M Stone, who had been Major of the Third Infantry, and who was at this time a paroled prisoner of war, was appointed Colonel; John A. Garrett, Lieutenant-Colonel; Harvey Graham, Major; J. B. Atherton, Adjutant; C. F. Lovelace, Quartermaster; William H. White, Surgeon, with Drs. O. Peabody and Alfred B. Lee, Assistants; and Reverend R. B. Allender, Chaplain. By Rufus R. Dawes, 1838-1899. When the Civil War broke out in 1861, Dawes organized a volunteer unit from Mauston in June and was soon elected captain. Company K was mustered into the 6th Wisconsin Volunteer Infantry, which served for the first months of the war on guard duty in Washington D.C.. 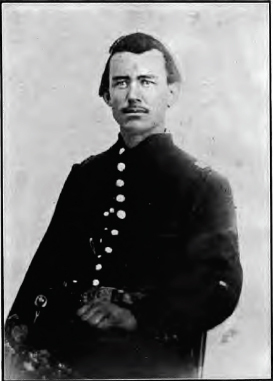 In June 1862, Dawes was promoted to major. 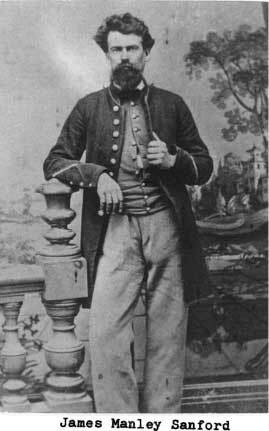 He served with his regiment at the Battle of Groveton and at Antietam and Fredericksburg In March 1863, Dawes received a promotion to the rank of lieutenant colonel and served in the Chancellorsville Campaign. 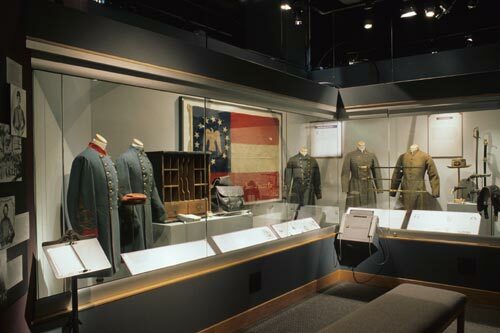 This is a recorded lecture from June 30, 1997 at the Smithsonian Institution by Dr. McPherson shortly after the publication of his book, For Cause and Comrades, Why Men Fought In The Civil War, which is a comprehensive analysis drawing upon more than 25,000 letters and nearly 250 private diaries from men on both sides of the conflict. Written by the most literate soldiers in history and uncensored by military authorities, these letters and diaries are especially revealing as the soldiers tell their own stories. Transcribed letter from Peter S. Tubbs to his sister, Sarah Jane Merrell - Wisconsin Private Peter Tubbs, of Co. I, 29th Regiment Wisconsin Infantry, writes home to Neosho from Ft. Gaines, Dauphine Island, Alabama on February 10th, 1865. Unknown Correspondent report (4 pages) published in the Wisconsin Daily State Journal on December 30, 1862. One Soldier's Story - The memorial stands on a curve in the road near the American Legion Post, a silent piece of granite atop a patch of freshly cut grass. Cars pass it day after day, year after year, and it seldom attracts a visitor. Missives of War in Another Time - In his letters home, George Bartlett wrote about the financial benefits that had lured him into the military, questioned the war's aims, and criticized inept commanders. Charles W. Gooch to his Wife, April 9th, 1863. December 29th, 1861 - , by Ramsay, Charles S.
October 16th, 1862 - Camp Zollicoffer, Tenn., by Cloer, W. M.
December 29th, 1861 - Camp Piatt, by Ramsay, Charles S.
April 1st, 1864 - Unknown, by Hayes, John T.
November 9th, 1864 - Kingston, Georgia, by Hayes, John T.
June 27th, 1864 - Camp Chattanooga (Tenn), by Hayes, John T.
April 20th, 1864 - McMinnville, Tenn, by Hayes, John T.
April 3rd, 1864 - Christiana, Tenn, by Hayes, John T.
March 7th, 1864 - Christiana, Tenn, by Hayes, John T.
March 2nd, 1864 - Christiana, Tenn, by Hayes, John T.
December 8th, 1863 - McMinnsville, Tenn., by Hayes, John T.
November 9th, 1862 - Manassas Junction, by Austin, Matthew S.
November 4th, 1862 - Bristo�s Station VA, by Austin, Matthew S.
December 27th, 1862 - New Falmouth VA, by Austin, Matthew S.
September 15th, 1863 - Camp at Rolla, Mo., by Hayes, John T.
April 26th, 1863 - Pacific, Mo., by Hayes, John T.
May 4th, 1863 - Pacific Mo., by Hayes, John T.
April 28th, 1863 - Pacific, Mo, by Hayes, John T.
December 14th, 1861 - Camp Piatt, by Ramsay, Charles S.
December 13th, 1861 - Home, by Ramsay, Charles S.
December 12th, 1861 - Camp Piatt, by Ramsay, Charles S.
December 10th, 1861 - Home, by Ramsay, Charles S.
December 9th, 1861 - Camp Piatt, by Ramsay, Charles S.
December 7th, 1861 - Camp Piatt, by Ramsay, Charles S.
December 5th, 1861 - Home, by Ramsay, Charles S.
February 19th, 1865 - Fort Snelling, by Christie, Alexander S.
February 16th, 1865 - Draft Rendezvous Minn., by Christie, Alexander S.
January 24th, 1865 - Fort Snelling, by Christie, Alexander S.
April 5th, 1862 - Pacific, Mo., by Hayes, John T.
April 5th, 1863 - Pacific, Mo., by Hayes, John T.
December 2nd, 1862 - Macon City, MO, by Hayes , John T.
July 25th, 1864 - Gallotin, Tennessee, by Testerman, William F.
April 5th, 1863 - Pacific, Mo., by Hayes , John T.
October 25th, 1862 - Near Alexandria VA, by Austin, Matthew S.
October 29th, 1862 - Near Alexandria Va., by Austin, Matthew S.